That is if you can call someone taking a picture of the back of the box for the Wii version "screens". 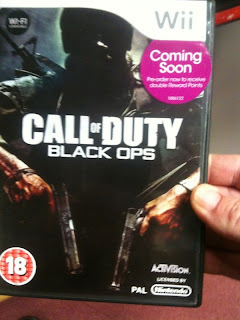 If you click on the pics above you can make out that the Wii version does in fact look very good. I'm really excited to see some actual video footage though. 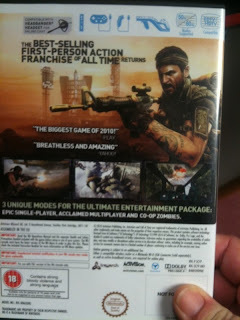 If you've seen a more blown up version of the back of the box you'd notice that it says "additional fees for online use may be incurred" questions have arisen that this means that the Wii version will have DLC in the future. It could also mean that this is just saying what we already know, and that is the fact that it costs money to have an online connection at home. Regardless, I'm still hopeful that the Wii version will still have DLC. High Voltage software claimed they have a patch system in the works for Conduit 2 so maybe this is along those same lines. I'm curious how they will do it. Will they do it like Nintendo does and patch games with a system update or will it be server side or something? Either way it's a good sign, at least for the Conduit since that one's for sure. I make an effort to play online Wii games first thing (like GoldenEye right now) because once it's hacked it tends to ruin the fun. 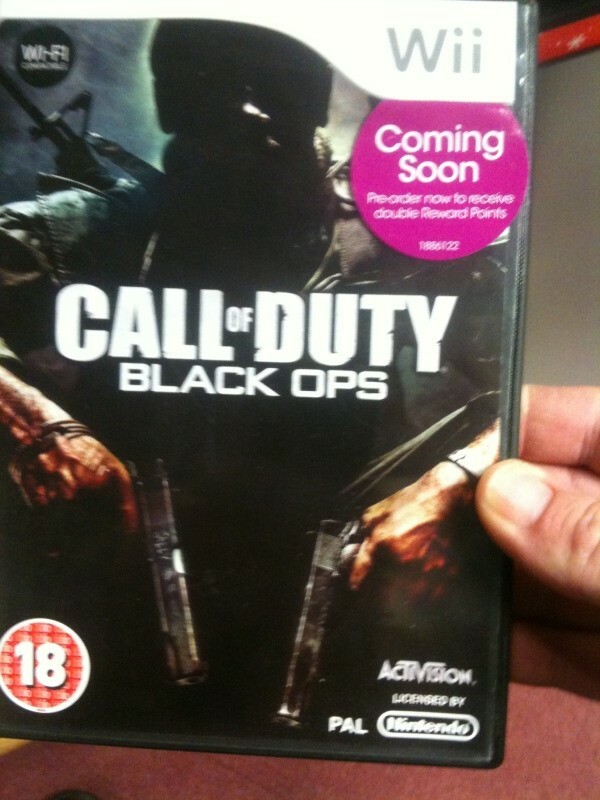 I know it is not very good quality but this is supposedly a video of black ops for wii. I believe it is genuine footage i'll try to find more.